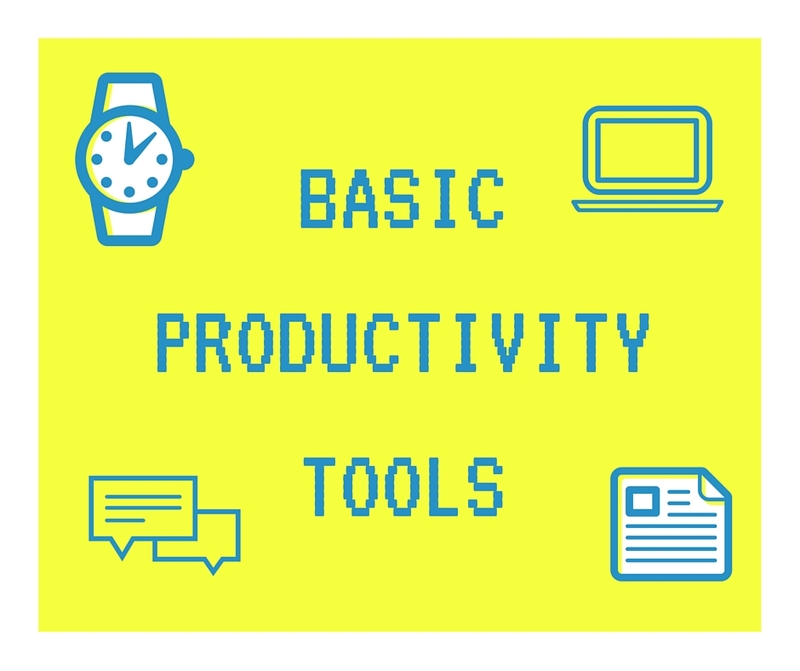 Throughout the professional world, individuals and companies utilize the three big productivity software programs including word processing, spreadsheets, and presentation. It is so engrained into our modern society that it has become almost expected that an employee would be proficient with these tools while being able to leverage their benefits. The advantages of the basic suite software have not been lost on teachers either. Educational technologist author, Roblyer (2016), expresses that “teachers choose them not only because they have qualities that aid classroom instruction and help make classroom time more productive, but also because they give students experience with 21st-century tools that they will see again and again in their workplaces” (p. 109). Arguably the most useful of the basic suite would be word processing software. Educators and students use this software most often, as it allows the user to create typed documents for any number of purposes. One of the biggest relative advantages Roblyer (2016) contends is the versatility word processing allows for its many uses in the classroom (p. 114). A student can type a research paper, another can create an “how-to” poster while the teacher can make a parent newsletter all with word processing software. Roblyer (2016) goes on to point out the many overarching relative advantages of saving time, enhancing design appearance and enhancing writing and language skills (p. 115). And with the increased availability of Google Drive and Microsoft 365 in schools, collaboration and document sharing has become an incredible additional advantage. Spreadsheets are used as a way to organize and interpret numerical data. Teachers have felt the benefits of spreadsheet usage when they turn to this organization tool for grade book purposes, but educators also expose students to the advantages of spreadsheets. Roblyer (2016) lists many advantages for using spreadsheets with students including the saving of time, organization, mathematically focus and displaying information over time and in “what-if” scenarios (p. 121). While students, on the whole, are more comfortable manipulating words than numbers, spreadsheet work and exposure, if introduced and taught effectively, can aide in a student’s mathematical comfort (Roblyer, 2016, p. 125). Presentation software allows individuals to create a multipage slideshow to highlight a topic using visuals and words for an audience. Presentation software is used in education to allow students to develop and understand their content at a level in which they can present to an audience. Robyler (2016) points out its significant relative advantages as a way for a student to develop such a deep-rooted understanding in order to develop and deliver a presentation all while practicing the art of public speaking (p. 127). Like word processing, presentation collaboration has also entered the educational world through powerful applications in programs such as Google Drive and Microsoft 365. There are many uses for the basic suite in the elementary ELA/SLA classroom. Getting students to word process and publish their work in a design format can be a powerful learning experience. It is important for a teacher not to get hung up on needing to teach every component of the software, but rather stick to an “as-needed” mini-lesson teaching style in reference to the basic suite (Roblyer, 2016, p. 125). Students can support research projects with spreadsheet data and present all findings through presentation software. What better way to increase your second language skills than to practice language production with a small presentation audience. The advantages are endless with the basic suite. As my school district goes Microsoft 365 at the beginning of October, the sharing and collaborative benefits will only add to the already powerful advantages. Here I created an Interactive Presentation Example for a 3rd ELA Main Idea interactive class lesson. Roblyer, M. D. (2016). Integrating educational technology into teaching. (7th ed.). Boston, MA: Pearson. I love the quote you used in your introduction – great choice! My district went Google Apps for Education, and it was amazing for students and teachers! Microsoft365 is really similar, from what I hear, and I hope it turns out to be great! I agree with you: the basic suite is amazing for productivity, and it is essential to introduce students to the tools that will be expected of them in the work force. From my perspective as a music specialist, presentation software is actually the most valuable of the three. Since my symbolic language is primarily comprised of circles and sticks located on a time/space continuum (the staff is actually a graph! ), word processing doesn’t feature as prominent of a role. I actually “write” much of my music for my elementary children on Powerpoint! I don’t often have students use the basic suite in my classes, simply because we focus on playing keyboards, singing, and moving. My “basic suite” would include a sequencing program for recording, a notation program for composing/transcribing music, and presentation software. . . . .would be wonderful to get THAT bundled! I agree with what you said about mini-lessons instead of teaching the whole thing. I have found that to be true for students and teachers. We are all learners.